Judith “Judy” Reece attained final peace on Friday evening, November 23, 2018, after succumbing to complications from a recent accident. Although our family mourns her passing, we are relieved that her suffering and pain have finally ended. On December 17, 1942, Judy was born in a doctor's office above a saloon in Hailey, Idaho to Doris Aileen Bird York and Marvin A. R. York, who was employed at the Triumph Mine. Judy took pride in her rustic pioneer origin, spending her first two weeks of life snowed in at the mine where they lived. Later the family lived on the Arthur Bird farm in the Falls City District of Jerome County where Marvin was employed. In 1949, after winning a 120-acre homestead in a post-WWII land lottery Marvin and Doris moved their family to Hunt, ID near the old Minidoka Relocation Camp, where they lived until Marvin’s death in 1953. One of the tar-papered internment barracks became her childhood home; dust, mud, lava rocks, sagebrush and all! When it came time for Judy to enter first grade there were no accessible schools in the Hunt district, so she lived with grandparents, Arthur and Dorothy Bird, and attended Falls City School. The next year, thanks to a new bridge across the canal, she was able to attend Greenwood and Hazelton grade schools through 1953. Judy attended Jerome High School and, although marriage and family interfered, she was determined to obtain her GED in her later years, a tribute to her tenacity and determination. She met and married Arvin Reece and after the birth of their first child, Brent, moved to Kankakee, Illinois, where they lived for 11 years and built a successful drywall business. By 1973, Ron and Deena had been added to the family and it was decided to return to Jerome to be closer to relatives. Arvin and Judy continued their drywall/painting business until Arvin's passing in 2009. If you knew Judy, you knew that she was a gregarious person and had a joke for every moment and occasion. How she remembered all those jokes we’ll never know! She just had the knack for making folks roll on the floor with side-splitting laughter. Arvin and Judy were active in the Jerome Senior Center, where she was a regular participant in Pinochle, Bingo, and completing puzzles with her beloved step-father, Mondford Adams. She was an avid reader, known for falling asleep every night with a book propped up in her hands. Judy was also known as an excellent cook, and master canner, winning multiple blue ribbons at the Jerome County Fair. Additional interests were sewing, knitting, and crocheting; crafts at which her high level of perfectionism and skill were unquestionable. 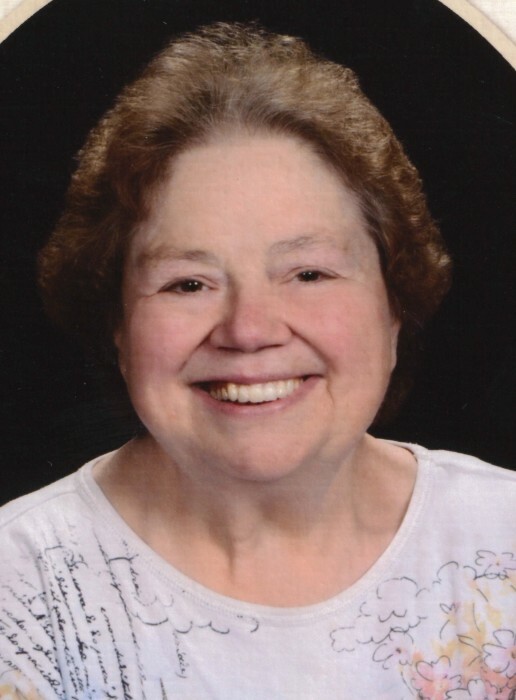 Judy had taken a year of piano lessons as a child and always had music in her soul. In her adult years she became a self-taught pianist and enjoyed playing piano and organ for the local Moose Club and a local church. She was also an annual supporter of PBS and enjoyed programming such as Outdoor Idaho, Antiques Road Show, as well as other educational programs. A viewing will be held from 6pm until 8pm, Wednesday, November 28, 2018 at Farnsworth Mortuary, 1343 S Lincoln Ave, Jerome. A Memorial service will be held at l:00 pm, Thursday, November 29, 2018 at Farnsworth Mortuary, with a private burial to conclude at Jerome Cemetery. In lieu of flowers, a donation can be made to the Jerome Senior's Center, or a charity of the donor's choice. Memories and condolences may be shared with the family on Judy’s memorial webpage at www.farnsworthmortuary.com.